Nasi kandar comes from “nasi” meaning rice and “kandar” meaning balance – hawkers in the olden days carried their rice and curries in buckets balanced on poles over their shoulders. Nowadays, bustling nasi kandar restaurants like Original Penang Kayu can be found all over Peninsular Malaysia, serving up Malaysian-Indian fare 24 hours a day. But one of the oldest – and arguably the best – nasi kandar stalls is found in the Kampung Melayu (Malay Village) enclave on Penang Island. Annie’s uncle is a nasi kandar connoisseur. So, on the morning of Day 3 of our whirlwind trip to Penang, he took us for breakfast to Kampung Melayu Nasi Kandar. Kampung Melayu Nasi Kandar is located in a couple of ground floor shoplots inside a low-income apartment building in a working class neighborhood. Parking is hard to find in the area, so we had to park out on Jalan Pisang Raja and walk in. It was late morning, so we were able to find a table inside. The manager came and took our order. They were out of goat that day, but there was still beef, chicken, and fish curry. Out in front, workers quickly prepared our plates. Starting with a heaping mound of rice, they added on various meats, vegetables, and combined curries until the entire mound was flooded with the delicious sauce. They delivered the plates to our table. Spoons and forks were provided, but the best way to eat nasi kandar is with your fingers – just pinch off a piece of meat or veg, gather it together with some rice, and lift it up to your mouth. I got a plate of beef and fish curry, with some perfectly cooked ladyfingers (okra) to go along with it. This is the same fish curry that we enjoyed so much at last year’s Chinese New Year party in Penang. At first, I didn’t think I could finish off that huge mound of rice. But the flavors of the curry were so good, the spices fragrant without being fiery, that I could not stop until my plate was scraped clean! While the nasi kandar curry stall sits out in front of one of the shoplots, the second shopfront hosts a busy roti canai stall. Here, the workers deftly flatten out oiled balls of dough before flipping them out into tissue-thin sheets, finally folding them into a square package, trapping air between the folds. Each package is then tossed onto a griddle and drizzled with more oil to fry up. My roti canai came with a small bowl of dal curry. It was perfect – cooked through and even crispy on certain parts but not burnt. Even though I was full from the rice and curry, I did not hesitate to finish off this roti. When all was said and done, we walked away quite full and quite happy. I look forward to the next time we will return for our rice and curry. It can’t come soon enough! Do you have a favorite nasi kandar stall? Tell us where it is! 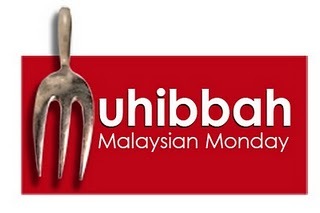 I am entering this post in the Muhibbah Malaysian Monday roundup, created and hosted by Sharon of Test with a Skewer. This is the third post in a series of Penang food that we’ll be putting up, hopefully every Monday. Don’t miss any of them; be sure to subscribe to our blog via RSS or email! Arrgh, argh, I have got to stop reading posts like this when I’m hungry. Makes me want to cry. And leaves me feeling homesick for the food:) Thanks for the great info, next tiem I head back to visit the folks, we’re definitely making a Penang road trip! OMG…Drooling!!! I agree with Shaz on top…can’t read posts such as this one when I’m hungry. After you go, come back and let us know what you think! Wow, this is really nostalgic. I stayed in Kampung Melayu for the first 17 years of my life and I have seen these a gazillion times when I was there. The kuih and bread stalls near the bus stop; those roti canai, another bread vendor, and the sundry shop below Block A, the weekly Monday pasar malams (night market) and lets not forget the annual pasar Ramadan (fasting month food bazaar). I miss Malaysia so much now and so many things have changed in Penang and even at Kampung Melayu. Everywhere looks so foreign to me now as I was away (overseas) for so many years. I miss the karipaps. My favourite karipaps nearby the bus station and Air Itam school. I’m glad our post could bring back those memories for you. The nasi kandar there is certainly memorable! No doubt this is the best. Nasi Kandar Kg. Melayu at night? At a “3288 Food Court, not sure about the number or was it 2388 or something” operated by the same people (e.g the roti man in the picture), except no roti canai at night time. A more comfortable place/atmosphere at the food court, but you can’t beat the authenticity of being right smack in Kg. Melayu Flats area. thanks! 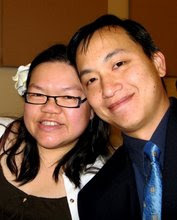 And welcome to the blog. SWIFT Theme by Satish Gandham. 55 queries in 0.932 seconds.